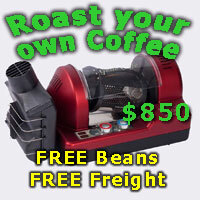 I am happy to spend up to $500 total and have been looking at everything from the Sunbeam 6910 to the Rancilio Siliva which can apparently be had sometimes for about the $500 with a grinder second hand. I would just like it to be fairly simple to use but I want control of my milk and something that makes good milk. Any recs please? Or anyone getting rid of something second hand that they would recommend? I agree with Dave. While Silvia will need some practice to master it they r a great unit that will pasta long time. Unfortunately a Silvia and Rocky combo might be hard to get for $500 probably closer to $600. They do come up pretty often in the "for sale section" but warning they do also sell pretty fast.